The Dunes Restoration Plan for the Monterey Shores Resort proposed for 39 acres of rare beachfront dune habitat in Sand City has been released and Ventana Chapter has retained experts to submit comments. The developer, Security National Guaranty (SNG) is proposing construction of a 1.3 million square foot mixed-use residential and visitor-serving development in undeveloped dunes seaward of Highway One adjacent to Fort Ord Dunes State Park in Sand City. 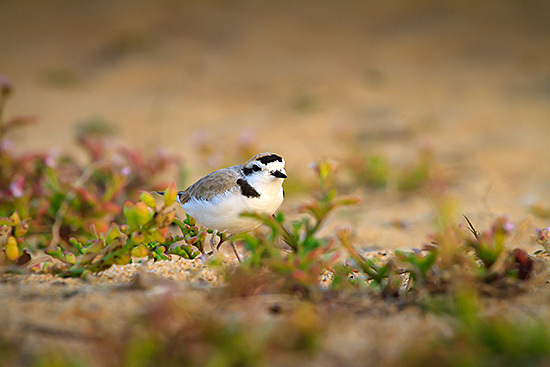 These undisturbed beachfront dunes contain several threatened and endangered species and have been monitored for nesting coastal populations of western snowy plover since 1999. Ventana Chapter attorney Larry Silver has retained senior biologist Scott Cashen to provide comments on the western snowy plover. Dr. Cashen (Dr. Cashen letter here) focuses on inadequacies in the Plan which proposes measures that will not offset the Project's contribution to habitat loss. Coastal ecologist Peter Baye's (Dr. Baye letter here) report highlights coastal dune ecology and management with an emphasis on Smith's blue butterfly, Monterey spineflower and western snowy plover.